Gas Nearby is the app for finding cheap gas prices around you in USA! 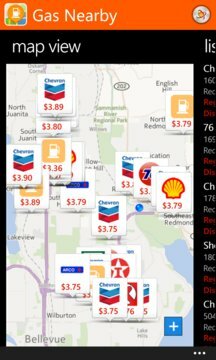 Gas Nearby app helps you quickly find and navigate to the nearest gas station and find the cheapest gas prices around your location. Gas Nearby is your best buddy when you want to find cheap gas near you. - Find Gas Stations around your location. - Sort Gas Prices by price. 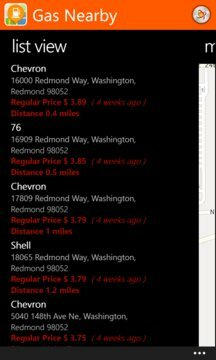 - Sort results by Gas Stations distance from your current location. DISCLAIMER: The gas prices shown in the app may not be precise or up-to-date always. Users are advised to exercise discretion and verify the prices with the gas stations. Gas prices are available only for USA.